MagicCube was founded to transform mobile security. Our founders were constantly searching for a better way to secure apps and devices while leading mobile payment and security teams at other Fortune 500 companies. Software-based encryption required constant patching for vulnerabilities. Hardware promised better protection but had serious limitations of its own. It seemed like the entire industry had settled for “good enough,” so we decided to build it ourselves. We called our solution “MagicCube,” the world’s only software TEE security platform for mobile and IoT devices. We’re a diverse team of former leaders in engineering, security and global business, purpose-built to push the limits of how device security should work. 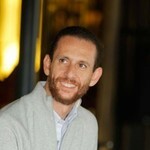 Sam Shawki is founder and Chief Executive Officer of MagicCube, a mobile security start-up located in Silicon Valley. Prior to his current role, Sam was head of Visa’s Global Remote Payments business unit, where he drove the company’s global initiatives in mobile and remote payments. Before Visa, Sam served as Chief Innovation Officer of VimpelCom, the sixth largest mobile network operator in the world, with over 214 million customers in 18 countries. In this role, he was responsible for developing the group’s innovation roadmap with P&L responsibilities for all mobile financial services targeting over $600 million dollars. His successful track record in building and growing organizations from inception to market leadership is well recognized in both start-up and large public company environments. 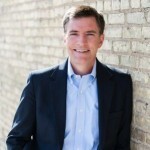 Sam was a founding member of the executive team at Obopay, a global pioneer in mobile payments and has played key roles in launching several disruptive and successful start-up products during times of cutting edge innovation and rapid growth, including ArtBeat, Netscape Navigator, VisualPage, Siebel, and Shoretel, among others. 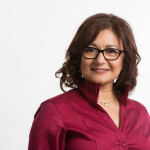 Nancy Zayed is founder and Chief Technology Officer of MagicCube, a mobile security start-up located in Silicon Valley. Prior to her current role, Nancy was the Head of Engineering and Operations at innoPath, a founding member of OMA (Open Mobile Alliance), where she led the global engineering development and service teams responsible for shipping Android, Rex, iOS, Windows Mobile and Symbian products. Within this role she was also accountable for the P&L of OEM & OTA technology client engineering, operations, OEM adoption, and carrier management. Nancy is an advocate of the social and economic empowerment of women in STEM careers. She has been an example in this area by taking on numerous leadership roles, including Head of Platform Development at Cisco Systems, where she was in charge of the company’s telepresence product and its secure endpoints for the consumer market. She also headed the CDMA (Code Division Multiple Access) mobile technology at Palm, where she spearheaded the move to air-interface agnostic technologies and IP Multimedia Subsystems integration. Nancy also spent more than ten years at Apple, holding several technical leadership roles within the organization’s traditional & new operating systems, as well as video engineering areas. During her time at Apple, she helped secure the company’s second Emmy presented by the Academy of Television Arts and Sciences on the Primetime Engineering Award category for the company’s efforts and impact on the television industry. Nancy holds a Master’s of Science Degree in Software Management from Carnegie Mellon University. Mr. Fortune has an MBA from the London Business School and a Bachelor's degree in Biology from Durham University. 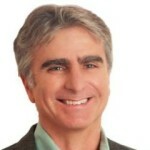 Nick is Chief Financial Officer at MagicCube and has more than 30 years of accounting and advanced financial planning and strategy on the global level, including launch of subsidiaries, managing profitability, strategic planning, quality management, promoting process improvement, forecasting, corporate finance, and developing budgets. For more than 5 years, he has served as a Consultant, providing financial consulting focused on providing interim CFO and financial investigatory services. He has served as interim CFO for Bowleven PLC, successfully implementing cost cutting measures. He has also served as CFO for a woman’s wealth management group, where he prepared detailed modeling of finance requirements, updated the business model, and their fundraising documentation. Previously, Nick has served as Finance Director for Vecta Strategy in Dubai, and for NxtVn Group in Finland/Netherlands before that, developing business plans and managing finances & start-up funding. Prior to these, he was CFO for Gulf Bridge International of Qatar, a fiber optic cable operator connecting the Gulf to India and Europe. There, he was responsible for initiating and overseeing the firm’s financial controls and accounting practice. Additionally, Nick has held several executive and directorial positions at various firms in Dubai. Shin’ichiro is Chief Security Strategist at MagicCube and a world-renowned research scientist in cryptography & expert in international standardization for security evaluation of information systems. He is a member of the Japanese Governmental committees for cryptographic technologies. 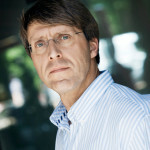 He is also a founder of "CELLOS", the international consortium on evaluation of cryptographic protocols. 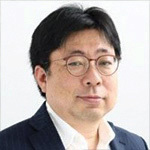 Prior to his position at MagicCube, Shin’ichiro held the position of Managing Director at the National Institute of Information & Communications Technology. He has also served as Head of Japanese national body of ISO/IEC SC27/WG2 and has extensively contributed to technology standards on cryptographic protocols. He has also held the position of Director of Security Architecture Laboratory and was a lecture in Advanced Cryptography at Chuo University. Shin’ichiro hold a Ph. D in Computer Science from the Tokyo Institute of Technology. In addition to his large portfolio patents in security, authentication, & payments, Dr. Matsuo has a long list of published and referenced research and numerous international awards in his field. 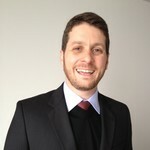 Ingo is Vice President of European Business Development at MagicCube. 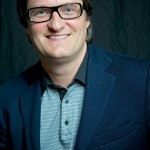 Ingo brings extensive experience as a global sales and business development executive at leading technology companies. Prior to starting his position at MagicCube, Ingo was a Global Account Director at G&D Mobile Security, held various operation roles during his 8 years at Siemens Communication Division. There, at the Wireless Modules BU, Ingo was one of the main actors in the first large scale IoT projects. Prior to his current role at MagicCube, Renato served as Head of Innovation of PagSeguro, the 1st Brazilian unicorn to provide financial services and digital payment solutions focused on micro-merchants and small & medium-sized companies, both in Brazil and globally. He worked on Peguro Ecosystem, an end-to-end digital ecosystem, where he mapped, researched, and developed insights and key trends, developing and incubating strategic products to turn into incremental in-house competencies and partnerships. As COO Brazil of iZettle, Renato set up the Brazilian operation (sa joint venture between iZettle AB and Santander) by developing importation, logistics, productization, pricing, online/offline sales channels and SDK partnerships, all according to the regulatory and competitive landscape. In doing so, he achieved 40% of market share and $5 million dollars monthly revenue in 12 months, in addition to managing P&L initiatives targeting over $60 million dollars in growth. 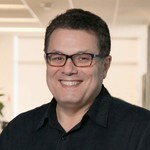 In the last 18+ years, Renato has helped set up 6 startups from different sizes and industries: "iZettle do Brasil”, which allowed upwards of 1.5 million smaller merchants to accept card payments in the Brazilian market; "Paggo”, which enabled secure and convenient mobile payments on P2P and eCommerce transactions; "Oi Paggo”, which included the informal economy by providing credit via phones, with increased security and less bureaucracy; "Oi”, which democratized the mobile telecom in Brazil by creating tailor-made service plans for all customers segments; and "Telemar”, which improved the telecom service quality for more than 40 million subscribers by the merge of 16 companies with CRM tools and standards. Renato Luis Silva holds an M.B.A. from the COPPEAD Graduate School of Business. Judith O’Brien is a renowned legal professional specializing in the representation of emerging growth companies, with an emphasis on financing. She currently holds the position of partner in the Finance and Mergers & Acquisitions practice of King & Spalding. 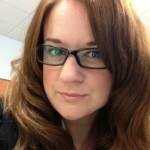 There, she is Leader in their Emerging Company Practice Group and is also Member of the Corporate Practice Group. Acting as outside general counselor and advisor, Judith works with companies from the start-up stage to Fortune 500 status in various industries of technology and communications. Additionally, she represents venture capital funds. She also has extensive experience as co-founder and executive in venture funds and emerging start-ups, and serves as board member for both public and private companies. Judith was ranked for venture capital expertise by Chambers USA in 2015 and 2016, and recommended by Legal 500 U.S. for venture capital and emerging companies expertise in 2015. She was also named among Women Leaders in the Law in 2011 by The Recorder, and by the San Jose Business Journal in 2010 as a Woman of Influence. 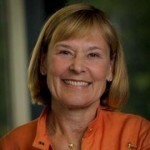 Judy appeared on the Forbes Midas List as one of venture capital's top deal makers from 2001 through 2005. Ms. O’Brien holds a J.D. from the University of California, Los Angeles School of Law and a Bachelor’s degree in Political Science and Government from Smith College. Dr. Neal Bhadkamkar, Ph.D. is co-founder and Managing Partner of Bold Capital, as well as of Monitor Ventures. 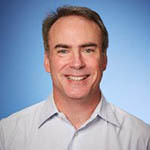 Prior to his current roles, Neal was Vice President of Manufacturing & Engineering at Zowie Intertainment, where he managed the design and development of analog and digital chips, PC software, and complex plastic components. Dr. Bhadkamkar also served as a member of research staff at Interval Research, where he headed its commercialization process, transforming mature research projects into spin-off companies. Neal started his successful technology commercialization career at the Boston Consulting Group, where he ran a broad range of strategy consulting projects primarily focused on tech-based companies. Dr. Bhadkamkar is a graduate of the Indian Institute of Technology in Electrical Engineering, and holds an M.B.A. from Harvard Business School, as well as a Ph.D. in Electrical Engineering from Stanford University. Dr. Teymour Boutros-Ghali, Ph.D. is co-founder of Bold Capital Partners and Monitor Ventures, two investment and advisory partnerships, and has been a founder/executive of several successful tech start-ups. He has an established track record as an entrepreneur focused on the commercialization of disruptive technology. Prior to his current roles, Dr. Boutros-Ghali was Chairman of C Publishing, where he oversaw a successful group of luxury media properties. Teymour was also a founder and CEO of All Business, a B2B site targed to small businesses and eventually sold to GE-NBC. His work on technology commercialization also includes designing Saudi Aramco’s corporate venture fund, as well as serving as Senior Advisor to Interval Research, Paul Allen’s Silicon Valley incubator. Prior to his entrepreneurial activities in technology commercialization. Dr. Boutros-Ghali held several executive positions with Time Warner, including: Vice President of Time Inc. Ventures, President of Time Warner Entertainment Marketing, and Publisher of Time International. Teymour started his career as a Consultant with the Boston Consulting Group, where was a leader of the media and telecommunications practice and served as head of recruiting. Dr. Boutros-Ghali should an S.M. from the Sloan School of Management in Finance, a Ph.D. in Theoretical Plasma Physics from the Massachusetts Institute of Technology, and a B.A. from Cambridge University in Electrical Engineering & Computer Science. Teymour sits on the board of several private companies, has lectured on entrepreneurship at the Anderson School of UCLA, and has been a judge for the annual Ernst & Young Entrepreneur of the Year Award. Ryan Hemingway is a director with EPIC Ventures, where he co-leads the EPIC deal sourcing team and coordinates the firm’s internship program with local Universities. Prior to his current role, Ryan helped build and establish a new Private Banking Department with Nevada State Bank. Mr. Hemingway started his career with Zions Bank Capital Markets group trading repurchase agreements. Shortly after, he traded and managed the risk on a portfolio of 200 corporate bonds in the industrial and retail sector as a Corporate Bond Trader. His personal trading limits were $50 million long and $50 million short. While at Zions Bank, he also helped implement a new risk management process which resulted in increased profitability by reducing borrowing costs. He also assisted in integrating Zion Bank’s strategic acquisition of Van der Moolen, a small trading firm in London. Ryan has a B.S. in Psychology from Utah State University, an M.S.S. in Economics from Utah State University, and an M.B.A. from the University of Oxford. Dr. Selim Aissi is a renowned security expert, holding Advisory Board positions for several startups and was named “Top 59 Most Influential Security Experts” by IT Security Magazine. He holds over 100 U.S. and International patents in various areas of computer and information security, and was co-author of the book Security for Mobile Networks and Platforms (Artech House). He is currently the Chief Security Officer of Ellie Mae, running its overall security program, including security operations, security engineering, and governance, risk, & compliance. Prior to this, Selim was the CP of Global Information Security at Visa, where he led critical security programs that transformed Visa’s information security practice into becoming the market standard, enabled product innovation, and drove global expansion. During his tenure at Visa, he was responsible for leading company-wide initiative, including the overall security of Visa Checkout, Apple Pay, and Visa’s Data Protection Program. He has also held senior management and engineering positions at Intel, General Dynamics, General Motors, and Applied Dynamics International. Dr. Aissi holds Bachelor’s, Master’s, and Doctoral degrees in Engineering from the University of Michigan, Ann Arbor. Dr. Robert Wolcott is Co-Founder & Executive Director of the Kellogg Innovation Network (KIN) and a Clinical Professor of Innovation and Entrepreneurship at the Kellogg School of Management of Northwestern University. He has served on the advisory boards of Nordic Innovation for the Nordic Council, Oslo, Norway; the Kraft Foods Global Technology Council (GTC); and GE’s Innovation Accelerator. Wolcott is also a partner with Clareo, a growth strategy consultancy serving senior executives at global corporations such as Exelon, Castrol, Johnson Controls, Baker Hughes and others. 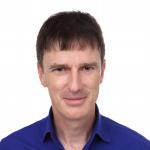 His book with Dr. Michael Lippitz, Grow From Within: Mastering Corporate Entrepreneurship and Innovation (McGraw-Hill, 2010), shares a decade of research and has been published in multiple languages. Wolcott’s work has appeared in MIT Sloan Management Review, strategy+business, The Wall Street Journal, Advertising Age, Business Week, The Financial Times (European Edition), The New York Times and numerous overseas publications. Claudia Parazolli is an accomplished communications strategist with more than 15 years of experience in the U.S. and International markets, and extensive knowledge of emerging markets. She is currently Senior Manager of Global Marketing & Communications at Omidyar Network, where she is responsible for driving the firm’s brand positioning through creation of communications programs. Previous to this position, she was Director of Innovation & Technology in Global Corporate Relations at Vis, where she drove Visa’s global innovation and tech brand positioning with internal and external audiences in the Latin American region. Prior to this, she led public affairs and regulatory communications for MasterCard in Latin America. A former journalist, Claudia worked for some of the most prestigious news publications in Brazil, including Valor Econômico newspaper, Exame magazine, and the local bureau of Reuters. Ms. Parazolli has multiple certifications from Stanford University Graduate School of Business, along with a Bachelor’s degree in Journalism. Kaj-Erik Relander is a renowned Investment Executive and is currently Director at SES, Senior Independent Advisor of Mubadala Development Company, Chairman of Investment Committee at Apis Partner, Founding Partner at SEQ Capital Partners, and Board Member for Starplay Arabia. Previously, he was part of the Management Committee at Accel Partners, where he stayed for seven years. Prior to that, Kaj-Erik joined Sonera Cororation, where he held several management positions, including that of CEO. Earlier in his career, he worked at the Finnish National Fund for Research and Development. Mr. Relander has an MBA from the Wharton School of Business and the Helsinki School of Economics, as well as a Master’s of Science in Economics. He works with many NGOs in order to give back to the community. Hesham Abuelata is an accomplished senior marketing executive with extensive international experience in large high-tech companies, such as Apple and Norton. He has previously served as Vice President of Platform Products at Remedy Informatics. 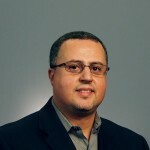 Hesham has held several management and directorial positions during his 15-year tenure at, including the positions of Senior Director of Global Strategic Marketing and Operations & Planning and Senior Director of Product Marketing & Marketing Programs. During this time, he drove the success of Norton Internet Security worldwide, playing a key role in achieving an annual revenue growth from $11 million to over $500 million. He led the product marketing team in defining the go-to-market plans and creating the messaging of Norton products, achieving historic0high revenue. He also led the design, messaging, and global deployment of Symantec Security Check – the most popular online scanner. Previously to his time at Symantec, Hesham spent 12 years at Apple, where he was responsible for defining and implementing the internationalization and product marketing strategy for the emerging markets in the European region. There, he also recruited and led the team managing all product marketing, localization and developer-support activities in the Mediterranean, the Middle East, Central & Eastern Europe, and Africa, and supported regional teams in 22 countries. Hesham holds a Master’s of Science in Computer Science & Digital Systems from the University of Kent. Michael Diamond is a proven business leader, with over 20 years of experience building, motivation, and growing business teams in software companies. He is currently General Manager of Payments at Mitek Systems, where he previously held the position of Chief Revenue Officer. Previously to this position, Michael was Senior Vice President of Business Development at Obopay, a global innovator in the mobile payments market. He has also led teams in other innovative tech companies such as the business analytics markets for IBM and Alphabox, and the online banking & financial technology markets for S1 and Edify. His teams have been located across the global, including Latin America, Europe, Asia Pacific, and North America. Mr. Diamond holds a BBA degree from St. Norbert College. For more information, visit www.michaeldiamond.com/about-me/. 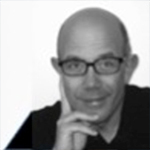 Michael Cartsonis is an accomplished executive with over 20 years of experience in product management and marketing management in a wide variety of markets & technologies, including enterprise and SaaS networking, cloud networking, and security. Michael is currently in charge of Partnerships at Contrast Security, where he is responsible for the development of relationships with trusted domestic and international resellers and application security consultants. Prior to this position, Michael served as Vice President of Product Management at Contrast Security. Previously, Mr. Cartsonis was Co-Founder and Vice President of Products/Business Development at Pertino, a company that provides next generation cloud networking platform solutions. Michael has also held management positions at Juniper Networks, Blue Coat Systems, TrustedID, Musestorm, and Transparency Software. He is a proven developer of winning products, services, and corporate strategies with extensive experience with pre-IPO to medium-sized companies, where has played roles as inventor, individual contributor, and manager. 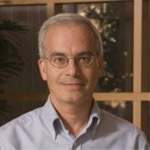 Mr. Cartsonis holds a Masters in International Management from the Thunderbird School of Global Management, as well as a Bachelor’s Degree in Computer Information Science from the University of California, Santa Cruz. Alison Davis is a global strategist, finance professional, board director, and active investor, with extensive expertise in the financial services sector. She is co-founder of Fifth Era, which advises the boards and management of leading companies, conducts business development projects, and selectively invests in innovative teams and start-ups. She is currently Director of Royal Bank of Scotland, Fiserve, Unisys, Diamond Foods, and Ooma. 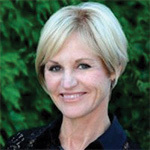 She has previously been director of First Data Corporation, City National Bank, Xoom, and Chairman of LECG. She has chaired committees on audit, compensation, and governance, and is a frequent speaker on corporate governance. Before her current positions, Alison held the position of managing partner of Belvedere Capital, a private equity firm focused on investing in US banks and financial services firms. Previously, Alison was the CFO of Barclays Global Investors (now called BlackRock), the world’s largest institutional investment firm managing more than $1.5 trillion of assets. Prior to this, Alison spent 14 years as a strategy consultant and advisor to Fortune 500 CEOs, boards and executive teams with McKinsey & Company, and as a practice leader with A.T. Kearney, where she built and led the global Financial Services Practice. Alison is active in the community, supporting non-profits and social enterprises as a board director, fundraiser and volunteer. She has been frequently named a “Most Influential Women in Business” by the San Francisco Business Times. She received a B.A. Honors and a Master’s in Economics from Cambridge University in England, and an MBA from the Stanford Graduate School of Business after completing the first-year at Harvard. 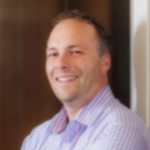 Brad Greene is currently Vice President of Commerce at MINDBODY, Inc., leading its integrated payments business, which processes over $7 billion in annualized payments volume across 20+ countries and is growing over 25% per year. He is a senior leader with over 20 years of success in Product Management, Corporate Development (Mergers & Acquisitions), Business Development, and Venture Capital roles, with deep domain expertise in mobile and online payments. Prior to his current position, he was Vice President of Corporate Development at Level 3 Communications, where Brad was responsible for identifying, analyzing, structuring, and closing M&A transactions for more than $8B. Before this, Brad was Vice President of Mobile Payment Solutions at Visa, where he led product strategy, commercialization, solution delivery, and client on-boarding for Visa Token Service. 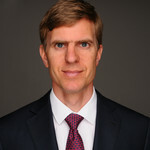 Mr. Greene holds an MBA from Goizueta Business School at Emory University, and a Bachelor's of Science in Management from the Georgia Institute of Technology. Hitesh Anand is Chief Product Officer & President at Mobikon, North America, where he leads the product strategy, product management, marketing, design, and developer experience teams. 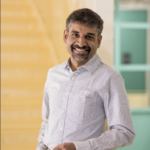 Prior to this role, Hitesh was Vice President of Product (Digital Services, Connected Devices & Mobile) at VeriFone, where he built cloud, mobile, and connected/IoT services and platform offerings from the ground-up. There, Hitesh also led Verifone’s mobile wallet strategy & implementation, partnering with players such as Apple Pay, Android Pay, Samsung Pay, AliPay, and more. Mr. Anand also productized & launched Verifone Carbon, a Connected Smart Terminal that integrates the payment terminal & an Android POS platform in a single device, creating a comprehensive solution for running a business. Prior to Verifone, Mr. Anand was Chief Product Officer, heading the departments of Digital & Mobile Payments and Citi Enterprise Payments at Citi. There, he partnered with Apple, Visa, & MasterCard to productize Citi’s implementation of Apple Pay. He also launched the 3 Citi Waller, Citi’s first NFC Wallet in Asia. Hitesh held multiple management positions and a directorial position at Nokia, where he grew their tech and product strategies and was a founder of their internal start-up, Nokia Money, to bring about mobile payments, banking, and financial services. They were a Neobank and the 3rd largest mobile wallet globally at the time. University. He also has an M.B.A from the Duke University Fuqua School of Business, with an emphasis on Strategy, Finance & Entrepreneurship. Khaled Bichara is Chief Executive Officer and Co-Founder or Accelero Capital, an investment and management group focused on telecommunications, digital media and technology (TMT), and many other fields. Khaled currently serves as a board member for various companies, including SUPERNAP International, Orascom Construction Limited, and Orascom Development Egypt. 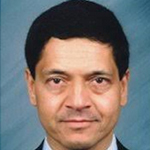 He is also a member of the Advisory Board for the Computer Science and Engineering Department of the American University in Cairo. Prior to founding Accelero Capital, Bichara was Group President and Chief Operating Officer of VimpelCom Ltd. He also served as CEO of Orascom Telecom Holding, as well COO of Wind Telecom, managing over 30 operations globally. Khaled brought his wealth of experience in both telecommunications and information technology to these companies. Paired with his strong management and entrepreneurial experience, he played an integral role in the merger of VimpelCom with Wind Telecom for aa total consideration of $25.7BN. In his first few years at Wind Telecom, he was pivotal in restructuring the company’s organization, turning the continuously loss-making company into a leading mobile, fixed line, and broadband integrated operator in Europe in just three years. Before joining Wind, Khaled was the Co-Founder and CEO of LINKdotNET, one of the largest private Internet Service Providers in the Middle East. In 2001, Microsoft partnered with LINKdotNET to launch MSN Arabia, the Middle East’s first global portal. Khaled holds a Bachelor of Science degree in Computer Science from the American University of Cairo. See first-hand how MagicCube is redefining mobile security.